Touted as the biggest and the most awaited release of the year, Kalank, has finally hit the screens. Read audience review. Touted as the biggest and the most awaited release of the year, Kalank, is finally here. With barely a few hours left for the film to be released all across the country, audience have already taken to Twitter to shower their love on the star cast and excitement for the film. The film boasts of a brilliant star cast that includes – Madhuri Dixit, Sanjay Dutt, Varun Dhawan, Alia Bhatt, Sonakshi Sinha and Aditya Roy Kapur. Madhuri Dixit and Sanjay Dutt would be seen sharing the screen space in the film after almost two decades. The film also marks Varun Dhawan and Alia Bhatt's fourth collaboration together after – Badrinath Ki Dulhania, Humpty Sharma Ki Dulhania and Student of the Year. 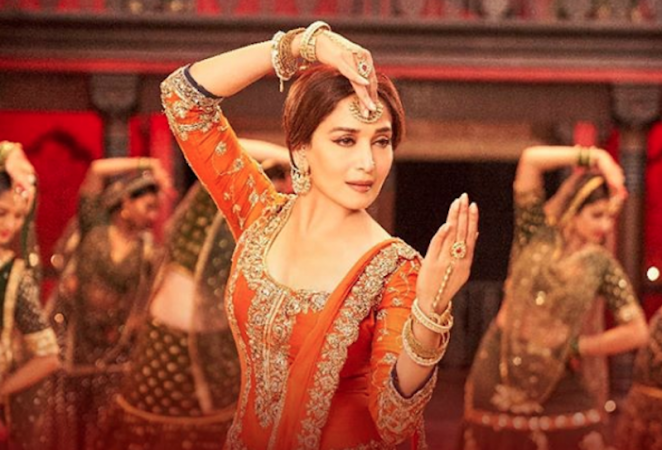 With the huge success that their films together command, it is expected that Kalank too would gain humongous success. While Madhuri's character in the film is named Bahaar Begum, Sonakshi Sinha will be playing the character of Satya Chaudhary. Alia Bhatt as Roop would be seen playing Varun Dhawan's (Zafar) love interest. Aditya Roy Kapur will play the role of Sonakshi's husband – Dev Chaudhary and Sanjay Dutt would be seen playing the role of Balraj Chaudhary. While Kiara Advani would be seen in a special dance number – First Class, Kriti Sanon would be seen in – Aira Gaira. Directed by Abhishek Varman and produced under Dharma Productions, the film is set in the pre-independence Birtish era. Take a look at audience's review for the film Kalank.